Dr Cat Lupo aches for another child, despite the psychosis which marked her first pregnancy. So when a small girl in need of help, arrives in the middle of the night, it seems like fate. 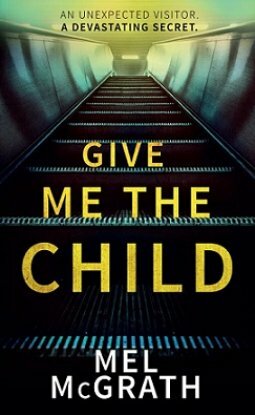 But as the events behind the girl’s arrival emerge – her mother’s death, her connection to Cat – Cat begins to question whether her decision to help her has put her own daughter at risk. Cat’s research tells her there’s no such thing as evil. Her history tells her she’s paranoid. But her instincts tell her different. And as the police fight to control a sudden spate of riots raging across the capital, Cat faces a race against time of her own.